Kristin It was getting diffused light from a window, but I just moved it to a sunnier window spot and I am hoping that helps. 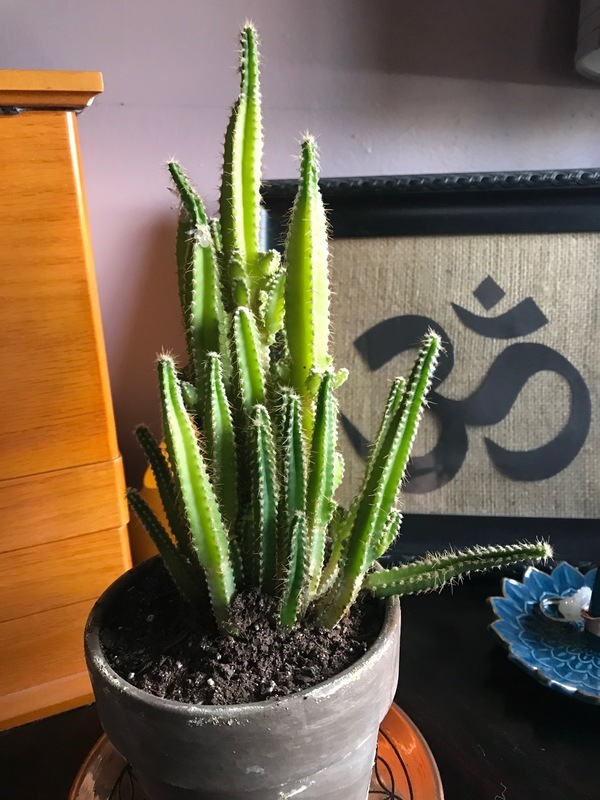 I have it in a potting soil made for succulents, but I have been thinking maybe I should add some sand to it to help it keep well drained. Thoughts? Thank you! Pei I don't think there's anything to concern to be honest! 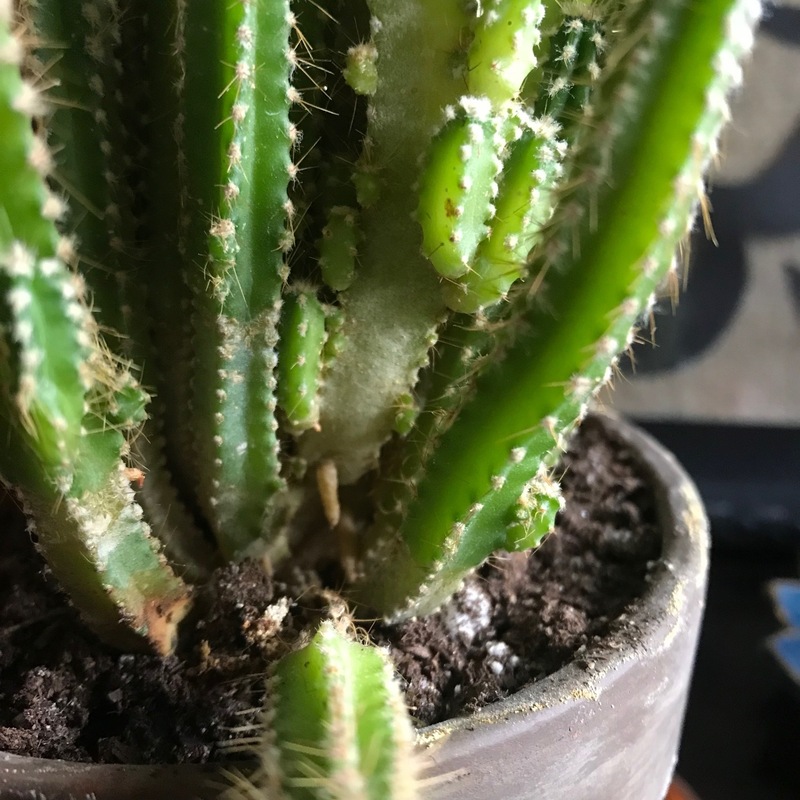 Cactus would change their color/appearance with water, sunlight, and age. One thing i would suggest though is to move it to a brighter location. You could see that most of the new growth is a lot smaller and thinner that's because they are not getting enough energy (light). Another you could also do it to repot it (not a must). not sure if it's the photo, but it looks to me that the plant is shifted to one side and sits too high! Kristin Thank you Pei! Makes me feel a bit better. I will move it to a sunnier spot and see how it responds. Should I be concerned about the one segment in the image drying up at the bottom? I was going to clip it off, but I wasn't sure if it is an anomaly or a systemic problem.